Historically, bribery has been associated with unscrupulous persons and corruption. That’s because a bribed person agrees to do something morally unsavory—which he would not otherwise have done—in exchange for favors or money. In the Drone Age, bribery occurs at every link of the “kill chain”, though it is not recognized as such because many of the persons involved are salaried employees: analysts and drone operators whose professional job description it has become to locate and execute terrorist suspects. Operators and analysts are told that military-age males (from 16 to 50 years of age) in “hostile” areas are “fair game” for annihilation under current rules of engagement (ROE), and they agree to spend their work days finding such people to kill. In doing so, they liaise with other people, on the ground, thousands of miles away, who have also been bribed to do what they would otherwise never have done, left to their own devices. There have always been people willing to murder people in exchange for thick wads of cash, but in centuries past, they were generally considered to be disreputable hitmen. 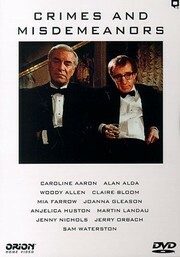 Consider the example from Woody Allen’s film Crimes and Misdemeanors of Judah Rosenthal (played by Martin Landau), a successful ophthalmologist who hires a complete stranger (commissioned for him by Judah’s brother, who is a criminal) to eliminate his mistress (played by Anjelica Huston). The contract killer is paid a lump sum to travel to Judah’s city and carry out the task. The next thing Judah knows: Voilà! all of his mistress troubles have evaporated—along with his former mistress, whose cold corpse lies in a puddle of blood on the floor of her home. No one, I presume, would regard the hitman who accepted the contract to destroy this woman as somehow praiseworthy. Yet it was authorized by someone who, by all appearances, is a perfectly respectable member of society. As viewers of the film, we have privileged access to the stark distinction between moral image and moral reality. In the world in which we live, the only way we can find out the truth about such characters is when they slip up, incriminating themselves in some way which can be demonstrated in a court of law to the satisfaction of a jury of their peers. What has arisen in the Drone Age is a frightening inversion of the burden of proof. “Kill committees” are assumed, under cover of national security, to be justified in ending the lives of other people on the basis of information to which only the killers are privy. 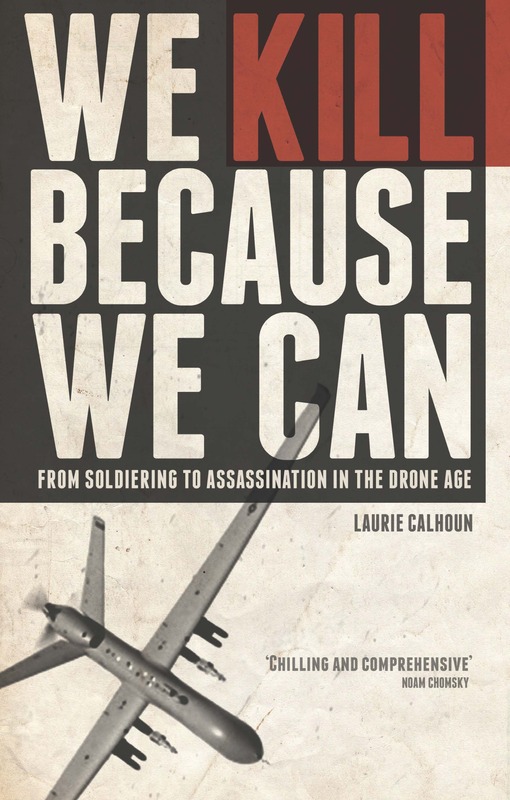 For the sake of argument, let us charitably assume that the persons involved in the Predator drone program are not careerists driven by a concern to excel at what they have been asked to do: kill as many terrorists (= suspects) as possible (see Homeland, Zero Dark Thirty, and MI5 or Spooks for colorful examples of such aspirational agents). There remains another, in some ways even worse, problem: in the unoccupied lands where drone strikes are carried out, people on the ground provide the HUMINT (human intelligence), what comes to be regarded as “actionable intelligence” and is in fact the primary basis for targeted killing. Such persons must be locals, because they need to have the linguistic ability to act as spies, infiltrate communities and find some “bad guys”, as they are so often labeled. The very informants who furnish the actionable intelligence for drone strikes in remote tribal regions are, of necessity, the people who report back after strikes to confirm that the “bad guys” were in fact killed. What’s wrong with this picture? Anticipatory conviction of terrorists in the homeland and execution of suspects abroad both bear similarities to the Bush administration’s notorious preemptive war. This “pro-active” approach to conflict has been wholeheartedly embraced by Barack Obama in his massive expansion of targeted killing campaigns to take out “suspected violent extremists” before they have the chance to realize their potential—whatever that may be. The question which self-respecting thinkers must ask about the information-gathering in these cases is whether it has any juridical—or even epistemic—value whatsoever. In lands under drone surveillance, when obvious mistakes are made and children and nonthreatening men and women are slain, it seems likely that the “paid informants”, as the bribed spies are termed, are themselves simple mercenaries or “bad guys”, whose aim was to earn some money or to shore up their power and eliminate rivals in their domain. In other cases, analysts keen to find “opportunities” to kill and laboring under a confirmation bias—former US Secretary of Defense Leon Panetta was once described as seeing a terrorist training camp wherever he saw a group of men doing jumping jacks—opt to strike on hunches. What have they got to lose? In this system of absolute impunity akin to that of the tyrants of the pasts, the perpetrators can always cover their tracks by invoking State Secrets Privilege.